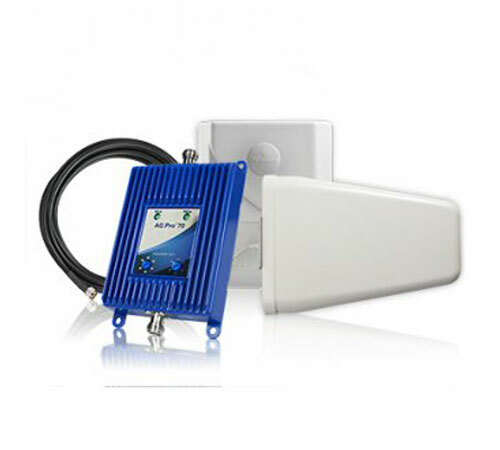 In anticipation of the upcoming FCC changes*, which will require cellular amplifiers to meet certain criteria (including only being sold in kits) and to be registered with the cell provider, Wilson Electronics has released a new FCC-approved version of their popular 70db 800/1900mhz amplifier kit: the AG Pro 70db SmarTech III Repeater Kit w/ Yagi Antenna (460105). 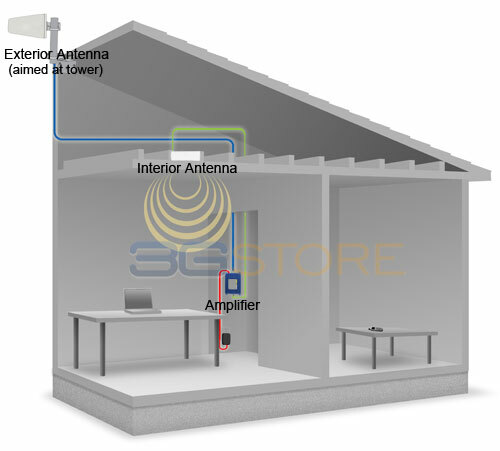 It works for 800/1900mhz cellular networks, which includes most voice and 3G providers in the US, and includes all necessary components to provide boosted signal for homes/offices up to 10,000 square feet. Unlike the original AG Pro 70, which had an impedance of 75ohms and utilized RG6 cabling, the new model is 50ohms and uses LMR400 cable.